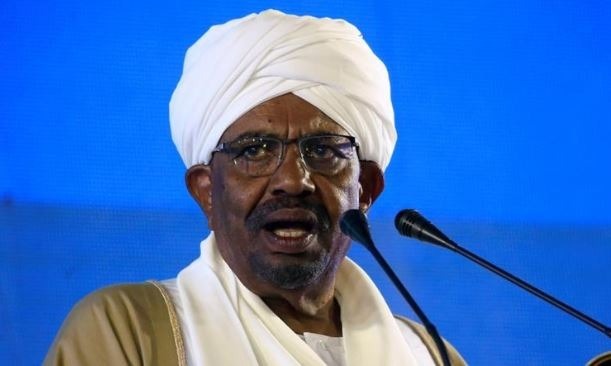 Tens of thousands of Sudanese marched toward the center of the capital Khartoum on Thursday, cheering, singing and dancing in celebration as two senior officials announced that the military had forced longtime autocratic President Omar al-Bashir to step down after 30 years in power. Omar al-Bashir had been ruling Sudan since 1989. Speaking on a state TV, Awad Ibn Ouf who is the defence minister and first Vice President said the army had decided to oversee a two-year transitional period followed by elections. He also said a three-month state of emergency was being put in place. Ouf added that the “regime” was being removed and Bashir would be kept in a safe place. The mass protests is sweeping across several Arab nations since 2011. Several protests waves swept across several to oust leaders in Tunisia, Libya, Egypt and Yemen. A week ago Algeria’s President Abdelaziz Bouteflika, in power for 20 years, resigned in response to similar demonstrations. The developments raised speculations that the military aims to install one of its one in place of al-Bashir. Organizers of the protests that have drawn tens of thousands into the streets reject that, seeing it as a way for the armed forces to keep the power that it has held under al-Bashir. Instead, they demand a civilian transitional government. National Security and Intelligence Service said in a statement that all political detainees would be released. It did not indicate when the release would take place. Security forces tried repeatedly to break up the sit-in protests since Saturday, in violence that killed at least 22 people. Early Thursday morning, the military took over key installations around Khartoum. Armored vehicles and tanks were parked in the streets and near bridges over the Nile River. Reports also suggest that the airport in the Sudanese capital had been closed. Thousands waited at the sit-in as crowds of protesters moved through the city converging on the site. The marchers waved flags, flashed “V for victory” signs and sang and danced. Some rode on the roofs of cars, moving slowly and honking horns in celebration.